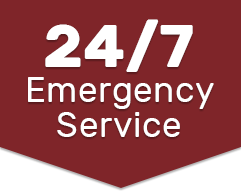 Service and Safety – We pride ourselves on having the best service in Windsor / Essex. If you call you will hear back within 24 Hours – Email you will hear back even faster. At the end of the day everyone has loved ones they want to see again. For our Hazard removal Techs we make sure they have the necessary equipment to keep them safe. For the Home or Business Owner we make sure once we leave you are safe from the hazardous material we removed! R.C White has been Serving Windsor / Essex since 1990 – We are a name you can Trust. We are the only serving member of EACO (the Environmental Abatement Council of Ontario) in Windsor / Essex County - Our Team is an active member while Ted Byrne our president is currently involved with outlining the Mould Removal guideline develop for Ontario. R.C White has WSIB and Insurance - If Tommy Tailgate shows up and doesn’t have insurance and or WSIB you could be liable if he gets hurt. At R.C White we make sure you are protected! Removal – All workers are Trained for Asbestos and Mould Abatement. Our employees as per government rules and regulations, EACO Guidelines, and all our supervisors have over 5 years experience. Work Product – We treat your home and business as if it was our own. We protect your home from our work! Guaranteed Satisfaction – Our Priority is our employees. If they are Happy they will make sure you are happy as well! Knowledge – Our Team combined has over 50 years experience in the construction industry. From New Construction to Floor Tile we have the right person for the Job! Relationships – We believe in long lasting relationships with our customers and sub contractors. The on-going concern tells us that we would rather charge a fair price for the work many times then charge way too much one time! Quality over Quantity – At R.C White we believe you get what you pay for!!! We at R.C White offer superior quality work at equitable prices. Third Party Asbestos Testing is Required on All Type 3 removals. This occurs before we can tear down our asbestos enclosure. R.C White has Never Failed a Third-Party Test in its History. This is something we are very proud of and continue to drive for. All R.C White Employees are required to pass a Police Clearance Check and or Vulnerable Sector Check. We want you to feel safe when our employees are in your home or business.